And here we are, part ten of my, I dare say, infamous Martini Chronicles. 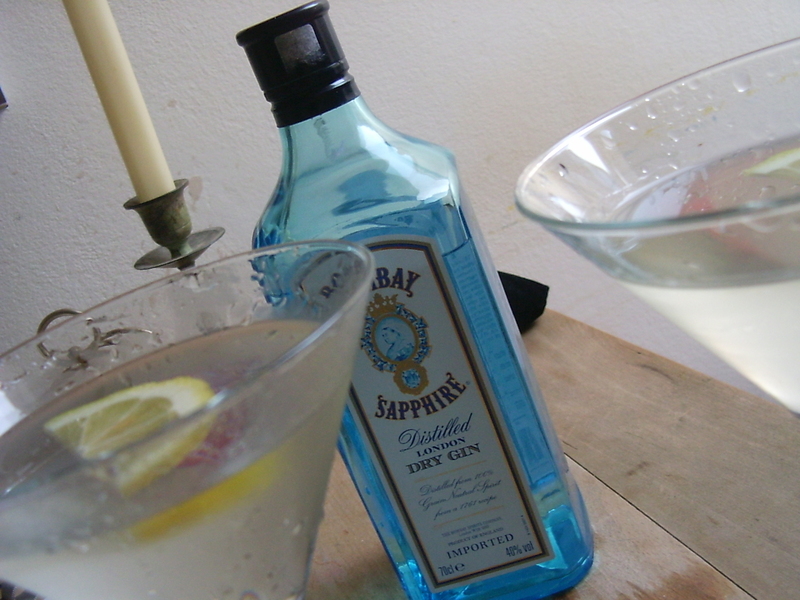 Yes, it’s the famous Bombay Sapphire Gin, recommended to me by Max in a comment to the very first installment. 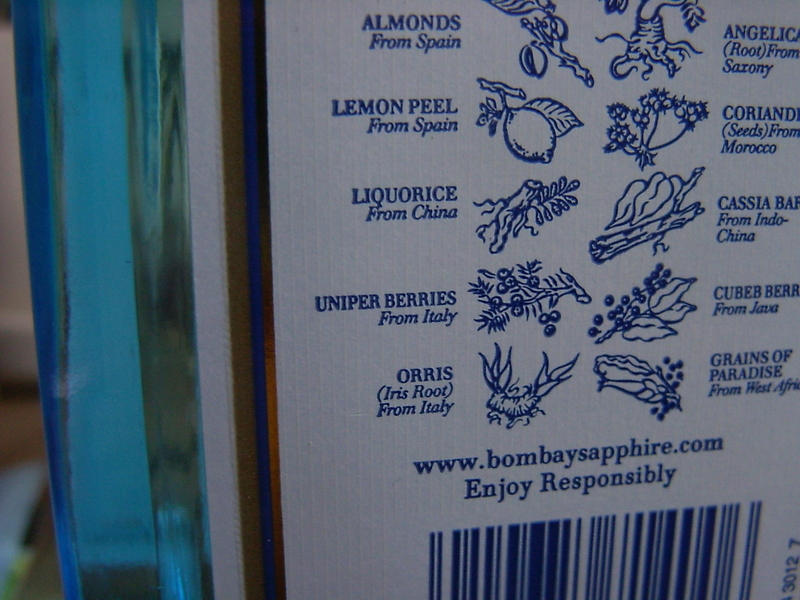 Now, since it was my first taste of Bombay Gin, I decided to prepare a classic 2:1 mix, for no other ingredient than Vermouth should diminish the sensation of this Gin of Gins. And while I can’t say I tasted each and every ingredient written out in detail on the Gin’s bottle, I did taste the difference to the rather cheap Gin I had used for all the previous Martinis. Come back tomorrow when I’ll post the results of a revolutionary new chilling technique for our Martini glasses!